To add a new campaign to your dashboard, start from home screen, aka your root dashboard. If you're currently in a sub-dashboard or control panel, you can always navigate back to your root dashboard by clicking the logo in the upper left hand corner of your screen. 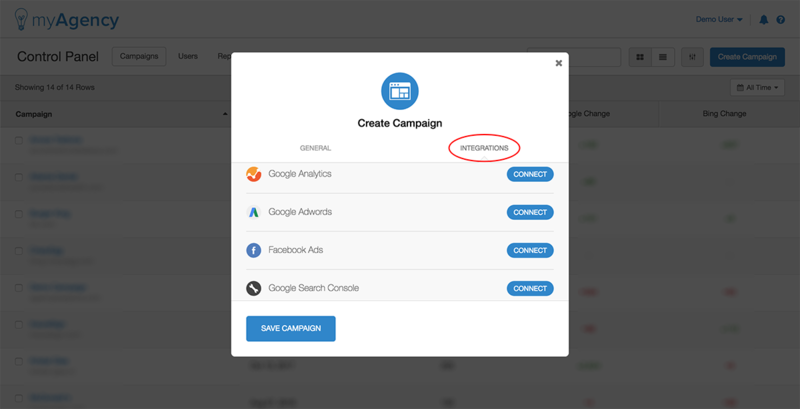 From the root dashboard, click "Create Campaign". Once this information has been entered, click "Next". You'll then be prompted to connect integrations. Click the "Connect" button next to any integrations that you wish you connect. You're also welcome to skip this step and setup your integrations later. When finished here, click "Save Campaign". 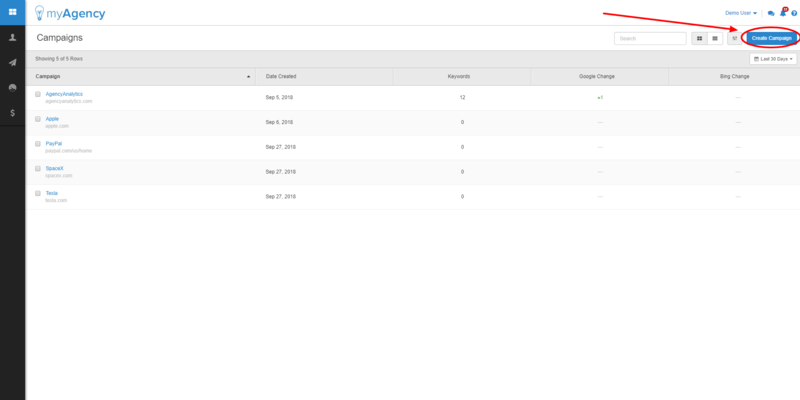 The wizard will then redirect you to the new campaign's dashboard, where we highly encourage you to continue on and add widgets for access to campaign data at a glance.